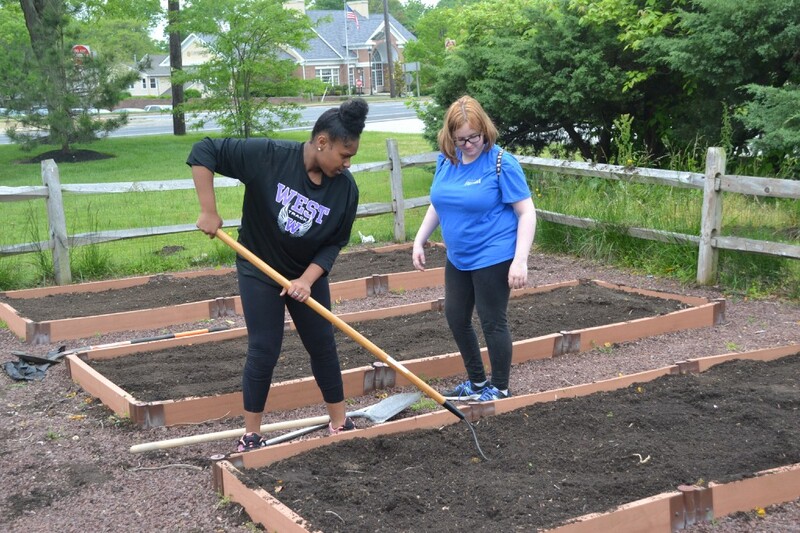 High school junior Lily Allen discovered she loved gardening when she began attending Cherry Hill Alternative High School. 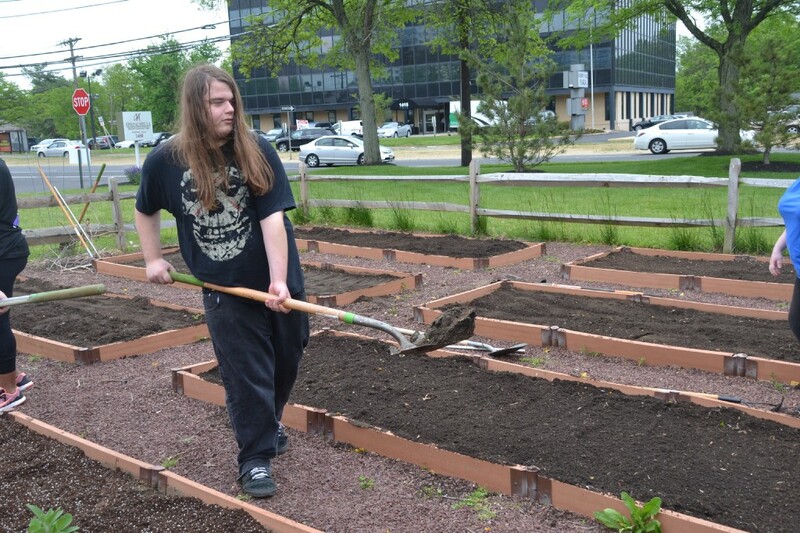 On the school grounds at the Malberg Administration Building, Allen and other students at the alternative high school maintain small gardens during the year. So when Allen got the opportunity to help another local Cherry Hill community with their garden, she didn’t hesitate to help. Allen and a few of her peers from Cherry Hill Alternative High School visited Spring Hills Cherry Hill Assisted Living last Tuesday morning to help the facility get its community garden ready for the new year. Allen and the other student volunteers spent most of the morning turning over the soil in the garden beds and getting rid of some old debris. Later, they planned to help plant some new flowers and vegetables. Cherry Hill Alternative High School gives its students who enjoy gardening a chance to visit Spring Hills each year to help. Allen said she always volunteers to go on the trips. The garden has become a vital part of life at Spring Hills. Brian Schepler is the executive chef for the community and has been the coordinator of the garden for the last four years. He said the garden has been crucial to bringing more fresh food to the residents at Spring Hills. In the past, the community has grown everything from tomatoes, peppers, squash and zucchini to the herbs used for cooking. “It really is the farm-to-table approach where I’m picking tomatoes from the vine, washing them and serving them to our residents,” Schepler said. There is a large emphasis on the small plot of land being a community garden. Spring Hills residents are free to help take care of the garden and enjoy some of the fruits and vegetables growing there. Resident Mary Lou Cook decided to take some time to help the students on Tuesday. Cook can frequently be seen in the garden during the year. She enjoys not only eating the food grown there, but also taking care of the garden. “It’s their garden and I honestly encourage them to participate in it as much as they want,” Schepler added. The work the students performed last Tuesday goes a long way toward making it sustainable for the rest of the year. As the garden begins to grow, Schepler and the residents will spend time outside keeping the garden in tip-top shape on a daily basis. For Allen, the work she has done at her high school and Spring Hills has turned into a passion. Allen now has her own garden at home and plans to continue gardening for years. Originally published at cherryhillsun.com on May 17, 2016.